A collaborative project with marine scientist, Jessica Muhlin. Oranges that have local historical and scientific texts written on them are released into the ocean. 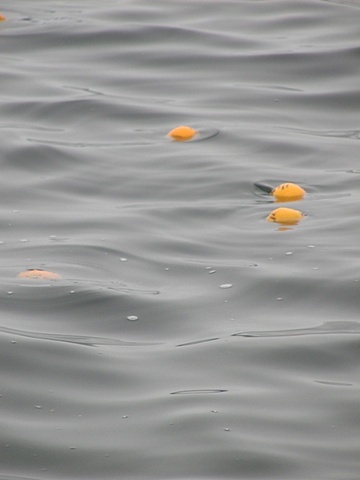 As oranges are found, they provide data for mapping small ocean currents and create a chance poetry. "Travelers harbor bicarbonate lives -- external distances trading dead presence for meaning... Abundant fortification points to a different force -- a combined before and different kinds of meaning."